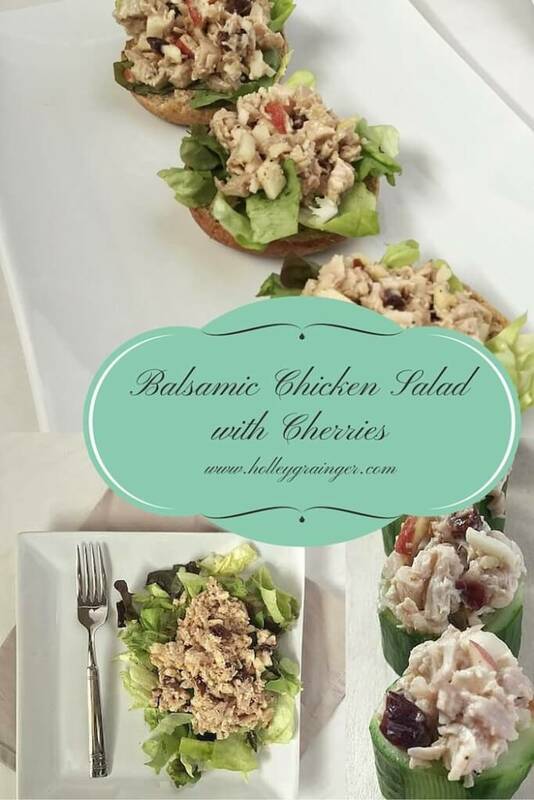 Give traditional chicken salad a sweet and tangy twist by making Balsamic Chicken Salad with Cherries using tangy vinaigrette, crunchy apples, and chopped nuts. 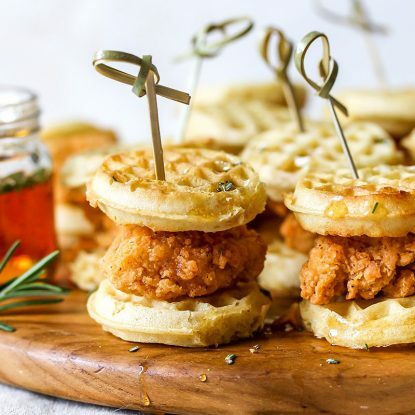 We seem to always have extra chicken in the refrigerator or freezer waiting for something delicious and creative to be done with it. Whether it is pulled chicken off a rotisserie chicken from the deli or grilled breasts that have been frozen individually for later use, chicken salad seems to be a favorite use for leftover chicken. Brent has taken the reigns when it comes to chicken salad making and is always experimenting with new flavor combos. Lately, we’ve loved replacing mayo with Greek yogurt and prepared balsamic vinaigrette for a tangy taste and creamy twist. We use whatever nuts we have on-hand like pistachios, almonds, or pecans and chop and toast them before adding to the salad. I’m also pro fruit in chicken salad (what’s your take–yes or no?) and use either grapes or apples or both. On fun twist is to add chopped dried cherries or cranberries for sweetness and color. Once you have the general feel for how to prepare the recipe, you can adapt it to fit your needs–fruit or no fruit, mayo or Greek yogurt, etc. No recipe required! 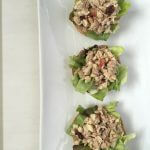 Chicken Salad Cucumber Cups: Cut an English cucumber into 3⁄4-inch thick rounds. Scoop seeds from centers of cucumber rounds, using a melon baller or small spoon and leaving a 1⁄4-inch-thick shell. Fill cucumber cups with 1 tablespoon chicken salad. 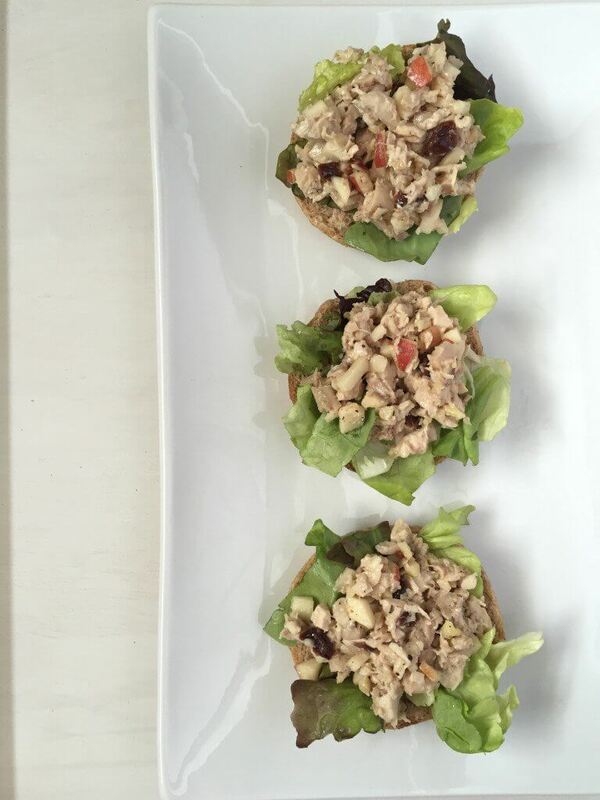 Chicken Salad Tartlets: Fill mini phyllo shells with 1 tablespoon chicken salad. Garnished with finely chopped nuts. Stuffed Chicken Salad Pitas: Cut the top of a mini pita pocket off (about 1⁄4-inch) and fill pitas with 2 tablespoons chicken salad and 2-3 arugula leaves and making sure not to tear the bread. Do you have a favorite chicken salad recipe? Or maybe a favorite way to use up leftover chicken? I would love to hear about it–I’m ALWAYS looking for new ideas! Have we connected on social media? 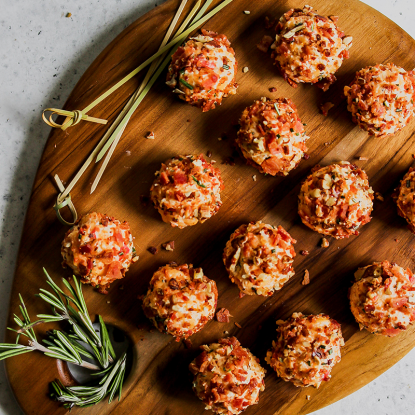 If not, make sure to follow me on Instagram, Facebook, Pinterest, and Twitter to keep up with more ideas for kids lunches, family dinners, and general nutrition for the entire family. In a large bowl, toss together chicken, nuts, apple, and cranberries. Stir in Greek yogurt. 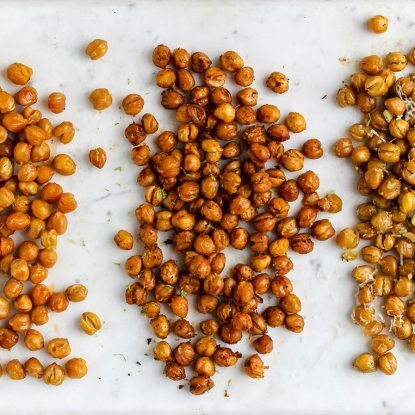 Drizzle with vinaigrette and toss until combined. Add salt and pepper to taste. Chill, covered, 15 minutes or until ready to serve. 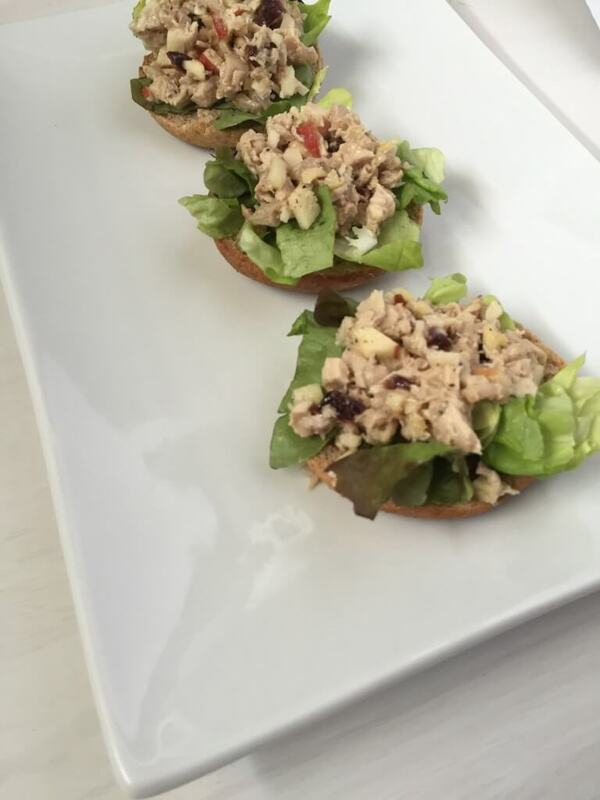 Check out the recipe on HolleyGrainger.com to find out how to make Stuffed Chicken Salad Pitas, Chicken Salad Cucumber Cups, and Chicken Salad Tartlets using Balsamic Chicken Salad. Just my kind of recipe. This turns lunch into something out of the ordinary. I’m going to try the yogurt idea next time. Lately, I’ve been using leftover chicken in rice bowls with leftover veggies. It tastes even better if I have some leftover sauce to mix in like pesto or tomato sauce for extra flavor. Love the idea of a rice bowl with veggies. I need to do that more often–especially since my little ones love rice! Thanks for the tip! I love how this has greek yogurt in it to create a thick and creamy coating of the salad! This looks like a perfect lunch! It’s definitely a delicious option. Thanks, Rachel! I love making a big batch of chicken salad for the week ahead that I can put on top of veggies or in a sandwich. This is the perfect way to use up the cherries in my fridge! Love this idea, Holley! Love having chicken or tuna salad in the fridge for a quick and easy high protein meal. Adding cherries is a great idea!